Audiobooks are great while commuting or when you have no time to sit down and read. 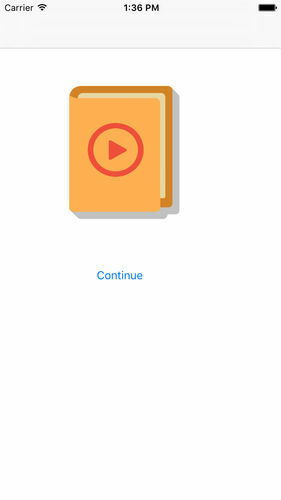 ebook Listener is an app that enables to listen to the ebooks with text to speech technology. It comes with its own media player and file cloud manager that you can choose to listen to the ebooks as audiobooks. The ebooks have to be DRM free, otherwise it will not work. Currently it only supports epub ebook file formats. It is the most popular ebook format and there are lot of digital publishers who offer books in this format for free or paid. Please see the website for more about the publishers. Large books will require more time to convert, but audiobook can handle any large size without any problem within 5 minutes. 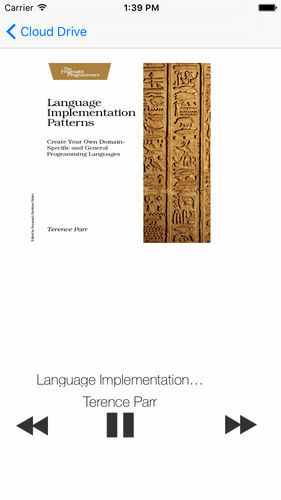 ebook Listeneruses text to speech technology provided by Mac OS X and it supports all the languages that are supported by iOS. 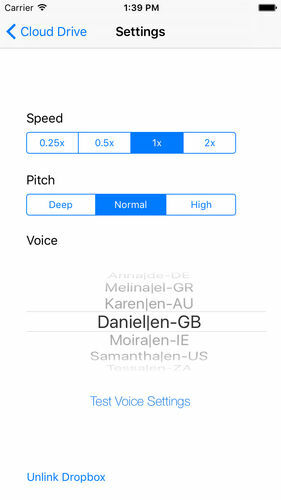 Make sure to go to application preferences to select your desired voice for the language. iOs support (and so ebook Listener) these languages: English, Arabic, Chinese, Czech, Danish, Dutch, Finnish, French, German, Greek, Hindi, Hungarian, Indonesian, Italian, Japanese, Korean, Norwegian, Polish, Portuguese, Romanian, Russian, Slovak, Spanish , Swedish, Thai, Turkish. 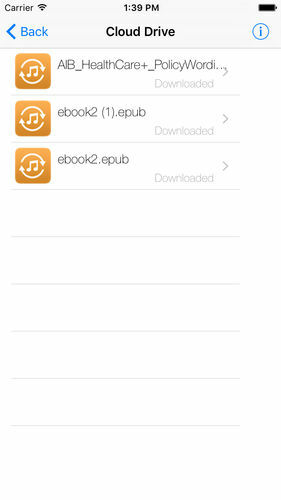 ePub is the main supported format and we are working to bring full PDFs support as soon as possible, stay tuned. In order to open a file with the app, just open the file with a browser, and select Open in... And select this app to download the file to your local. The app supports opening directly ebook files epub within the Safari browser. Just select the file to load, and press play to listen using the selected voice of you choice on your device. The application is active and heavy development, please give your feedback if you want to help to drive the direction we go. .